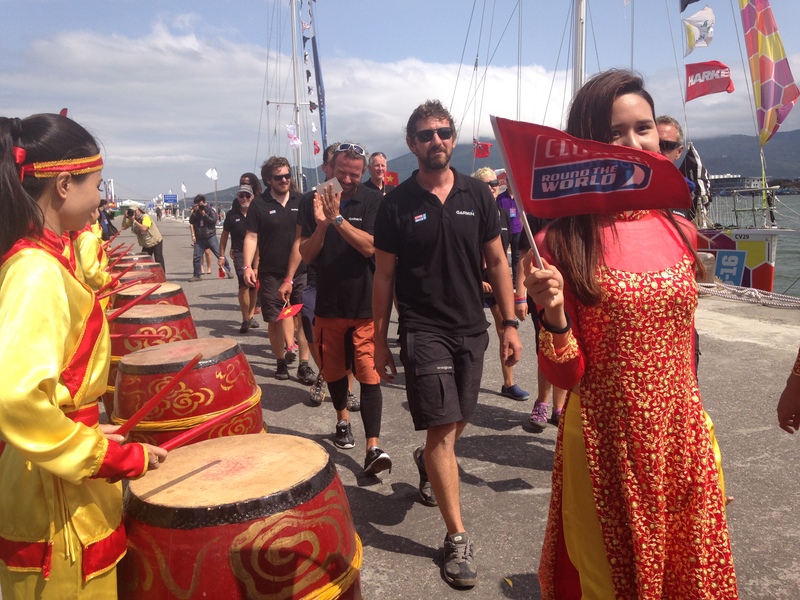 Winner of the Da Nang New Discovery of Asia Race Derry~Londonderry~Doire has been treated to a spectacular welcome ceremony in Da Nang as hundreds of people flocked to line the Han River to greet Skipper Daniel Smith and his team. Vietnamese drummers lined the pontoon as the crew came ashore and were paraded through the crowds. As the camera bulbs flashed from the hordes of waiting media, circumnavigator Ellie Fearon exclaimed "I feel like Madonna!" After 27 days of racing from the The Whitsundays, Australia, to this first time port in South East Asia, it was just reward for the team which had to work hard to defend it's lead for the majority of that time. Skipper Daniel says: "It's absolutely fantastic to get here. I think this is the best reception we have had so far on the race. There were drummers, music, loads of cameras, and everyone is really pleased to see us, so I'm really happy right now. "We had a complete mix of everything on this race, lots of wind and then really light wind, upwind sailing, downwind sailing. We went out quite hard to begin with and then the race turned out to be a bit of a marathon so in order to maintain our lead we had to keep pushing. "It's fantastic to be top of the podium after a couple of disappointing races. The crew deserve this and there is definitely more to come for Derry~Londonderry~Doire in the future," he added, following this maiden victory for the Northern Irish entry. Garmin arrived shortly after in what will be a packed back-to-back schedule of all twelve team arrivals today, and was also greeted to the traditional ceremony and wreath presentations. As Skipper Ash Skett waited to take to the stage in front of the media and fans with his team, he said: "Wow what a welcome here in Da Nang! So many people here - it looks very impressive! "This was an unexpectedly long race and was tough in terms of endurance but we usually do quite well when it gets rough. We endured and managed to get our greatest result yet which we're all really happy about. On the team's battle once again with its long term rivals, Ash continued: "Yet again we were battling with GREAT Britain, for quite a number of days and it was always visible on our tracker. It did have the edge on us to begin with and north of the Equator we had quite a few miles to make up, but we pushed the boat hard and made up the ground. It still took us right up to the end of the race to squeeze out the extra miles but I think we had a slightly more favourable wind as we were coming back north. We played the tacking angles quite spot on and overtook GREAT Britain on the second to last day so we were absolutely thrilled with all the effort we put in. We just refused to give up and I'm proud of all the team for that." Ash added: "Podium positions are beginning to become a bit of a habit, but until now they have always been third places. It feels great to finally break that curse. It is a big result for us today and we now just need to concentrate on our first win. It's coming!" Third place GREAT Britain was next to arrive and the crew was clearly surprised by the level of support received. As the team took to the stage, Skipper Peter told the crowd: “It is quite incredible here! I think I can speak for us all when I say I don’t think any of us were expecting a reception quite like this. It is very, very impressive and nothing like getting off an airplane that’s for sure! 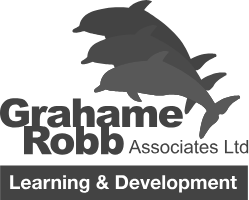 For many of our team’s first visit to Vietnam, it is absolutely fantastic so thank you very much to everyone here for the fantastic support. I think we're going to have an amazing stopover here." LMAX Exchange were next to take the stage. Skipper Olivier Cardin says: "It was a very tough race since the beginning with the Doldrums, and after we had to go to the aid of another boat we found drifting. After that we found it quite hard but it feels great to finally be here in Da Nang and we're all now looking forward to enjoying ourselves in the city." Fifth place Qingdao were next to feel the warmth of the Vietnamese welcome. Skipper Bob Beggs said: "It's been a very challenging race with lots of different phases. We had light winds in the Doldrums to the Trade Winds to beating back upwind towards Da Nang. Now we are really looking forward to relaxing and enjoying ourselves in Da Nang. "It has been a fantastic arrival, we've been looking forward to it for the whole month we have been at sea and it's definitely living up to expectations." We will continue to update with quotes and images as the teams arrive into Da Nang. Check out the race gallery for the latest arrival images and facebook and twitter. For the most up to date arrival times, click here. 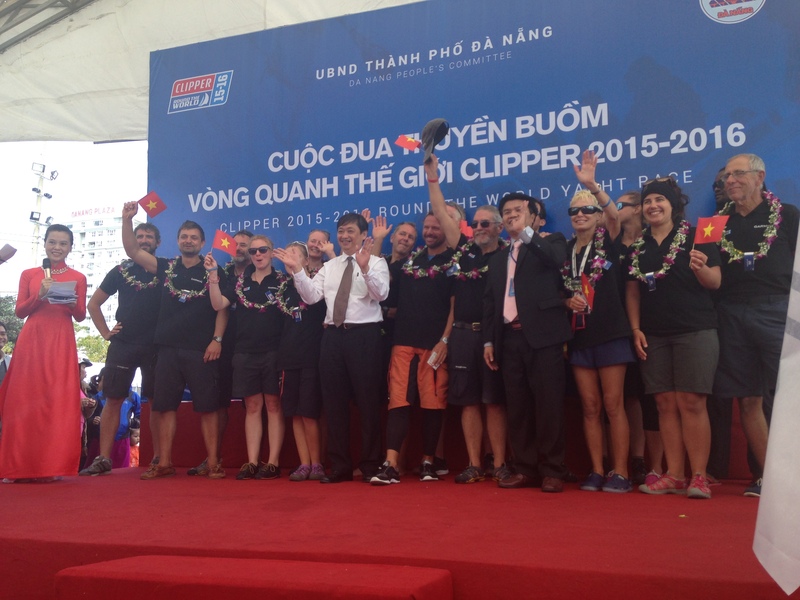 The welcome ceremony marks the beginning of what is set to be an unforgettable stopover in Da Nang, so see what the city has lined up for the Clipper Race crew, see the schedule here.